Baby massage plus a little bit more…. 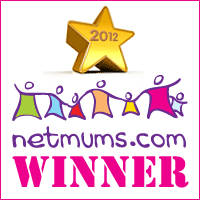 Roisin Sproule is a mum of two gorgeous boys and has been running a baby massage practice in Belfast since 2007. After discovering the benefits of baby massage with her first son, Roisin decided to train as an Infant Massage Instructor with The International Association of Infant Massage (IAIM). Roisin wanted to spend more time with her young family and found teaching baby massage to be the perfect career. Roisin is a natural teacher who is professional, caring and welcoming. Her classes are informative, relaxed and great fun. Roisin’s practice Bambino Massage NI offers a wide range of baby massage classes, one to one sessions, family and dad baby massage sessions. In addition to her established baby massage service she is excited to now be offering Baby Movers Classes, these classes are the perfect follow on for baby massage offering movement, music & play sessions for babies aged 4mths plus. Bambino Massage NI is based in Belfast but services are offered in the greater Belfast area too. I couldn’t wait until this Thursday to say thanks so much for the tummy massage technique!!! I tried it again with Sara and she was more than happy for me to do it. Ive been doing the colic routine too 3 times a day since Thursday and this evening Sara is lying sleeping from 6pm……so far so good! I just wanted to let you know that we both really enjoyed the classes. I found it great to meet other mums in a lovely comfortable environment to breastfeed and change baby when needed. Thanks again. Ella has downs syndrome, no special treatment given, made to feel as one of the class. Roisin listened after class when I wasn’t having a good day. Massage can help to improve muscle tone and show better performance on motor tasks when used regularly. I now know that due to Ella’s lower muscle tone that I should have massaged firmer and with cooler hands. I would highly recommend Roisin’s class. I discovered a lovely closeness with my baby and learned the importance of touch. Thank you very much, we thoroughly enjoyed all the classes and your relaxed and professional approach. Coffee and biscuits were good too!